Product prices and availability are accurate as of 2019-04-22 20:21:35 UTC and are subject to change. Any price and availability information displayed on http://www.amazon.com/ at the time of purchase will apply to the purchase of this product. 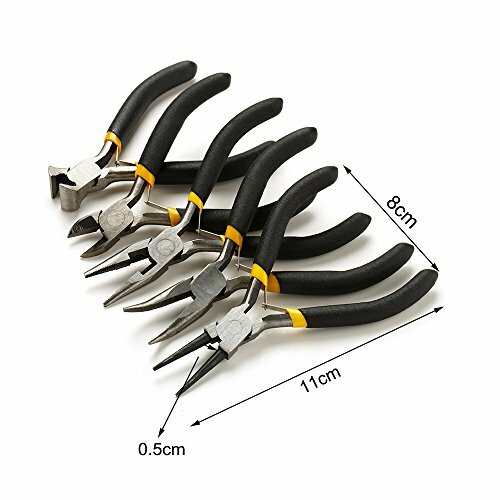 Round Nose Pliers: They are used to bend thin metal or metal wire to make perfect circles. Great for wire projects and making double looped beads. 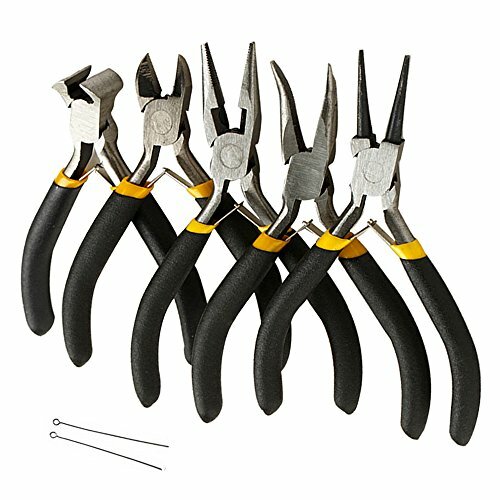 Bent Nose Pliers: They have a bent head as depicted in the photos. They can be used to open or close jump rings and bend wire. 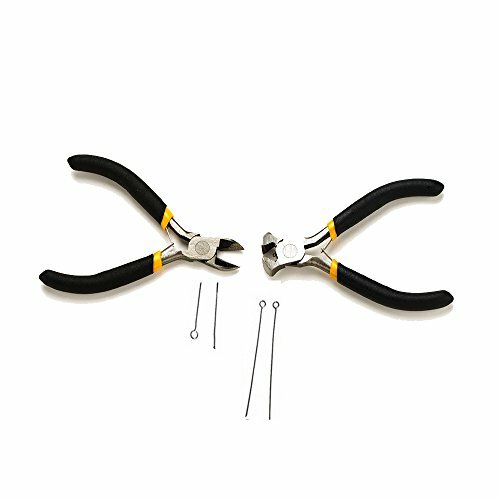 Snipe Nose Pliers: They can be used to open and close Jump Rings/ Split Rings and hold small jewellery components. They can also be used for wire wrapping and making multi-diameter loops on head and eye pins. 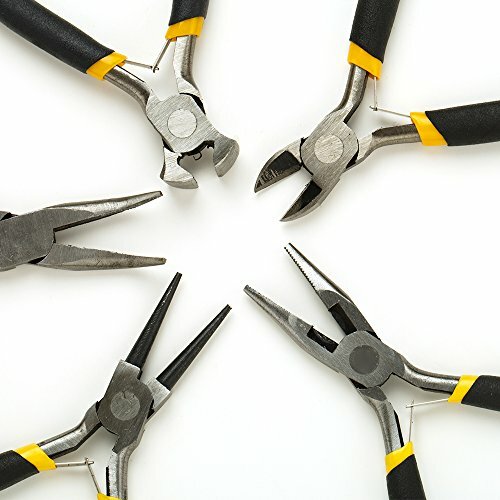 End Cutting Pliers: They can be used to trim excess material and leave a clean, flat surface behind. They feature a bladed tip (as opposed to bladed jaws like diagonal cutters), which lets you cut close against a surface. 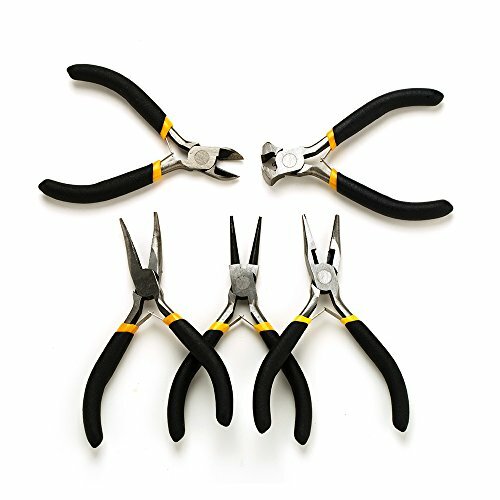 Wire Side Cutters: They can be used to get a flush cut on wire. They allow the flush cut even in the tightest of places, creating less filing. Each tool has a rubber handle. A wonderful set of making tools. 5pcs Jewelry Making Pliers Sets Beading Wire Wrapping Round Long Bent Mini Plier Cutter Tool Kit Tool Length (Approximate): 10cm to 12.5cm (3.9" to 4.9") Made of Carbon steel and pvc It includes round nose, long nose, bent nose, side cutter and end cutting pliers. 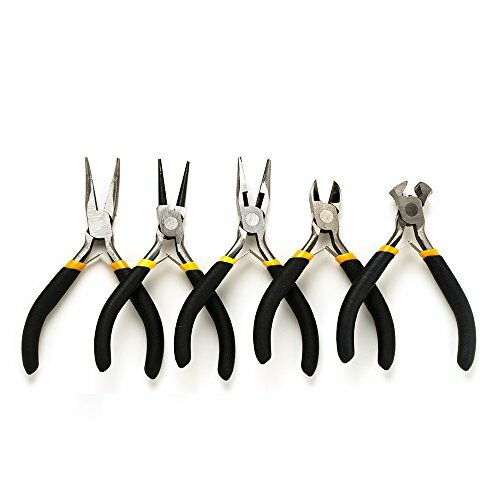 Owning a set of pliers can slive different problems for you and your jewelry making will be easier.